Here’s a quick look at what each outdoor spot offers to make sure you never come up short when you need to get away. Go Ape Treetop Adventure: The Go Ape Oak Point Park Treetop Adventure course is a great option for the whole family. It features 5 sections that take you high into the forest canopy. Thrill yourself with 39 exciting crossings, 2 Tarzan swings, and 5 zip lines as you make your way around and over suspended obstacles. Bluebonnet Trail: Texas wildflowers are the pride of the Lone Star State, and you’ll enjoy a breathtaking view of our bluebonnets on this fantastic trail. You can take the area in from the back of your car, but it’s far nice to get out on your own two legs and stroll through the natural splendor of the Bluebonnet Trail. The Courses at Watters Creek: Want your time outside to feel a little more civilized? Try this fantastic golf club. Offering a total of 33 holes across courses designed to appeal to golfers of all abilities, it’s a great opportunity to enjoy the fresh air while working on your game. The Spring Creek Forest Preserve: Located just outside Plano in Garland, this wonderful city-owned nature preserve is home to a gentle spring water stream, 40-foot-tall cliffs with fossils dated at 87 million years old, and plenty of local wildlife. Hydrous Wakeparks: Want something a little more exhilarating? Head to Hydrous Wakepark in Allen. A multi-location cable wakeboarding training facility, it uses a unique overhead cable system to pull riders around a 10-acre lake. If you’re only just getting started, there are plenty of beginner training lakes where you can find your feet. 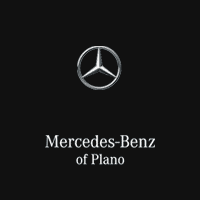 Whether you’re looking for museums in Frisco or things to do in Plano, the team here at Mercedes-Benz of Plano can always point you in the right direction. Feel free to contact us today.